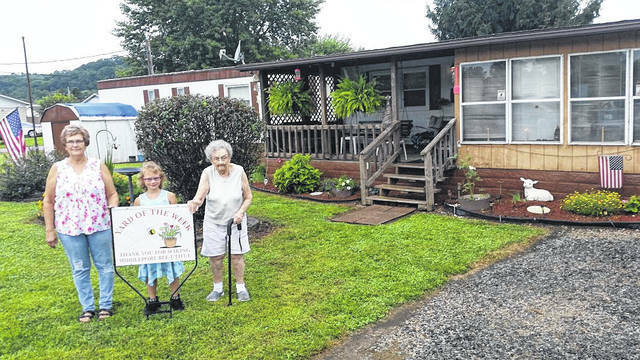 MIDDLEPORT — Each week throughout the summer property owners in the village of Middleport are recognized for the care they take of their yards. 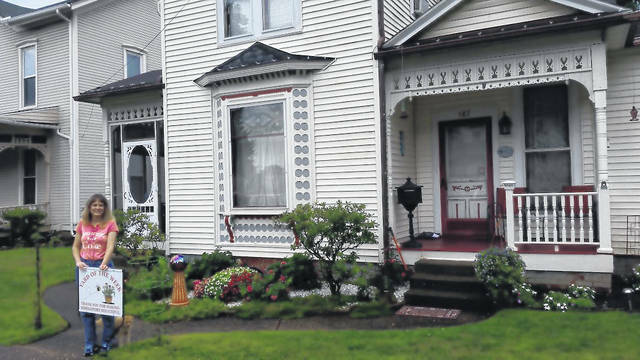 Jay and Tanya own a late 19th century home at 587 Main Street. Tanya said during wallpaper removal she found writings on the wall stating that the house was built in 1896. Jay has replicated sections of the scroll work to match perfectly to keep the period look. The yard is laid out very nice with hydrangea, azalea, roses, petunias, creeping phlox, and elephant ears. You can see the pride that they take in their home and yard. 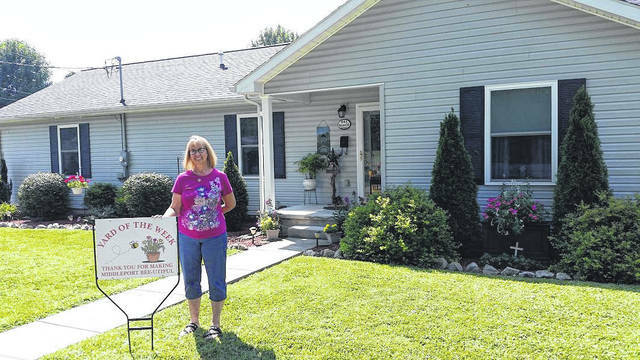 Vickie Jones lives at 5 Main St. and has a meticulously kept yard and landscape. “Bee-utifully” decorated with potted hostas, verbenas, day lilies, boston ferns, patriot rose of sharon, cone flowers, and a pink rose which has been passed down in her family for generations. Perfectly sculpted crimson barberry shrubs and variety of Japanese maple brings this whole yard together. Vickie has even landscaped the side yard of the vacant house next door to keep it looking nice too. 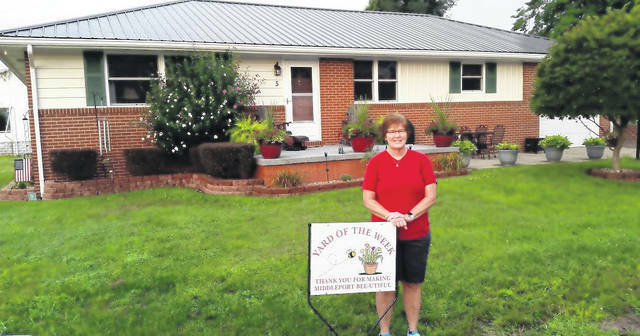 Teri Hockman lives at 981 Hysell Street and always keeps her yard neatly cut. She creatively used large limestone to border her landscape plantings. Decorated with marigolds, geraniums, day lilies, impatiens, salvia, butterfly bush, all the shrubs and a holly bush trimmed so nice it looks professionally done. Along with rose fountain grass and a well-established fruit bearing peach tree gives this yard of the week an inviting home feel.